Jello shots just scream party! 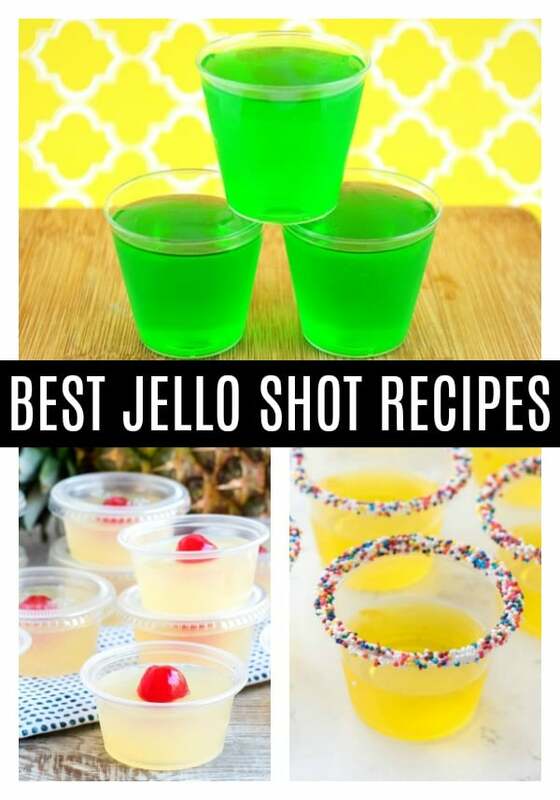 Check out the best jello shots recipes for your next party! Jello shots are not just for college parties. They are fun to make for tailgate parties, bachelor or bachelorette parties, graduations, backyard barbecues, etc. Having the best jello shot recipe for your event is key. Whether you’re looking for jello shot recipes with vodka or tequila or glow in the dark or red, white and blue jello shots, there’s a recipe here for everyone and every occasion. Jello shots are the hit of any get together! In case you’ve never had one, jello shots are a small, alcoholic beverage consisting of liquor incorporated into sweetened jello and chilled in a small container. Usually, plastic shot glasses are perfect! Just think of it as an individually portioned bite-size of jello. With booze! Don’t let this fun little drink intimidate you. They are really easy to make! And you can even make a few without booze, for those that may not indulge in alcoholic beverages. For the most part, you’ll use water or juice for any nonalcoholic jello shot. But for the ones with booze, substitute all of the liquid with the alcohol of your choice! Start by making jello like usual. Pour in a cup of boiling water and stir until all of the jello mix is dissolved. Than add in a cup of alcohol, stir, and pour into the individual jello shot containers that you choose. Put it in the refrigerator for a couple of hours, or until they are set, and boom! Jello shots! For the most part, making jello shots won’t take much longer than making a regular batch of jello! The longest part of most jello shots is actually having to wait until they are ready in the refrigerator. Jello will take 2-4 hours to set in the refrigerator, which can seem like forever when you’re ready to dig in! This is one fun party favor that can be made ahead of time, because jello shots can last 7 to 10 days in your refrigerator! That being said, the taste and texture will deteriorate slowly day by day, so it’s always best to enjoy them as soon as possible. 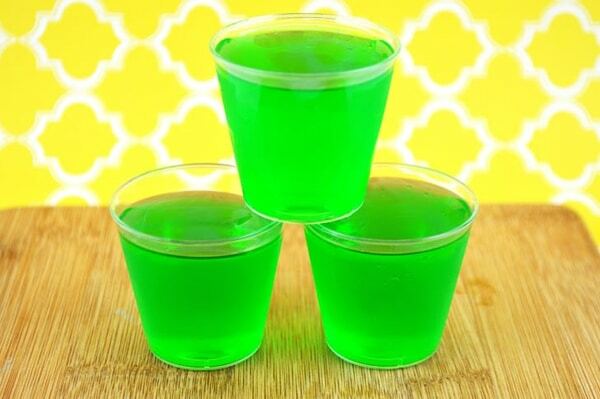 A jello shot recipe doesn’t have to be difficult. You can make them as easy or complicated as you wish. These recipes below, however, are going to have everyone wondering when you are going to be hosting your next bash! The Baking Chocolatess: Orange Creamsicle Jello Shots are going to be a hit! Just make sure the kiddos are nowhere around or they will think it looks like a fun little treat for them! 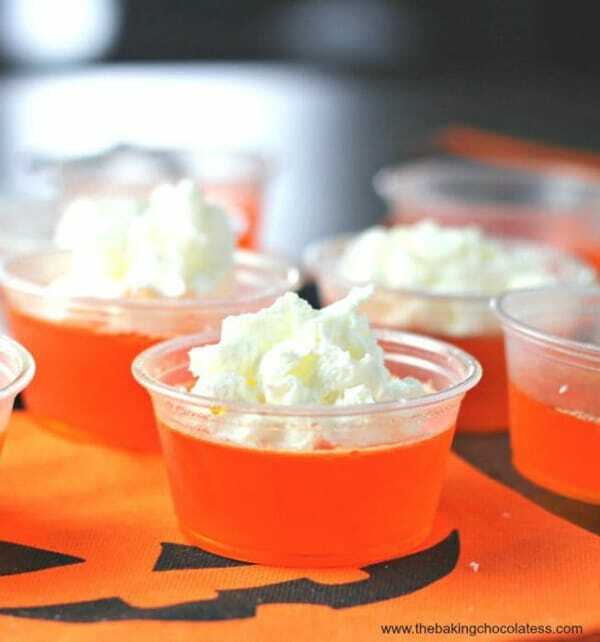 Throw some whipped cream on top and you have yourself the best jello shots at your adult Halloween party! Bread Booze and Bacon: Pina Colada Jello Shots? Yes, please! These just scream backyard BBQ or summer soiree. They will cool anyone down! Plastic cups are an ideal way to concoct any jello shot and it also makes them easy to transport, as many of these types of cups have lids, as well! So, if you’re looking for the best jello shot recipe, this one is sure to be popular at any shindig! 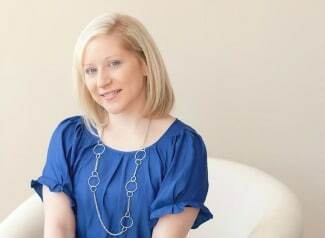 Real Housemoms: Arnold Palmer Jello Shots utilize unflavored jello, with all of the flavor coming from the iced tea and lemonade that is added in! Add in some citrus flavored vodka and you have some great vodka jello shots and possibly the best jello shot recipe ever!!! 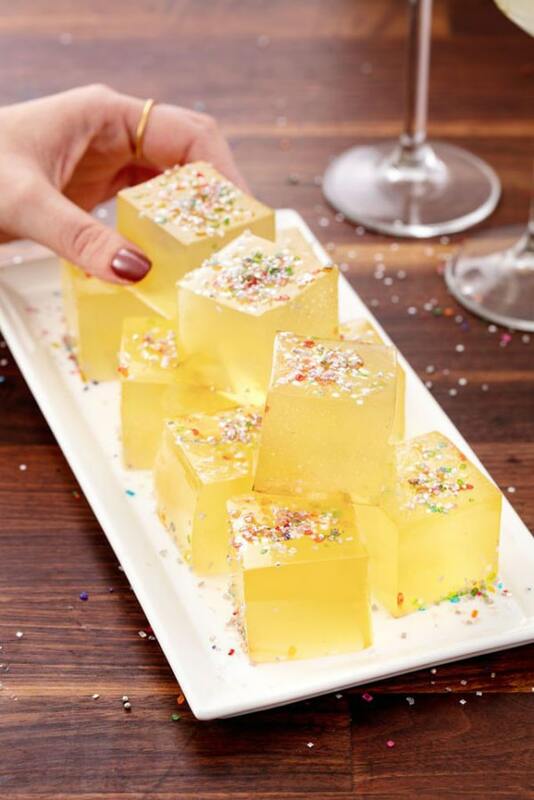 Lipgloss and Crayons: Amaretto Sour Jello Shots are the perfect adult way to class up any fancy dinner! It’s like having an after dinner drink in one quick gulp! Let’s face it, jello shots are way more fun! These jello shots remind me of going out to eat at a fancy supper club, while enjoying a cocktail before dinner. Everyone is going to love these babies and will most likely be dubbed the best jello shot recipe! A Spicy Perspective: Baileys Irish Cream Jello Shots are the perfect companion to any St. Patrick’s Day party! 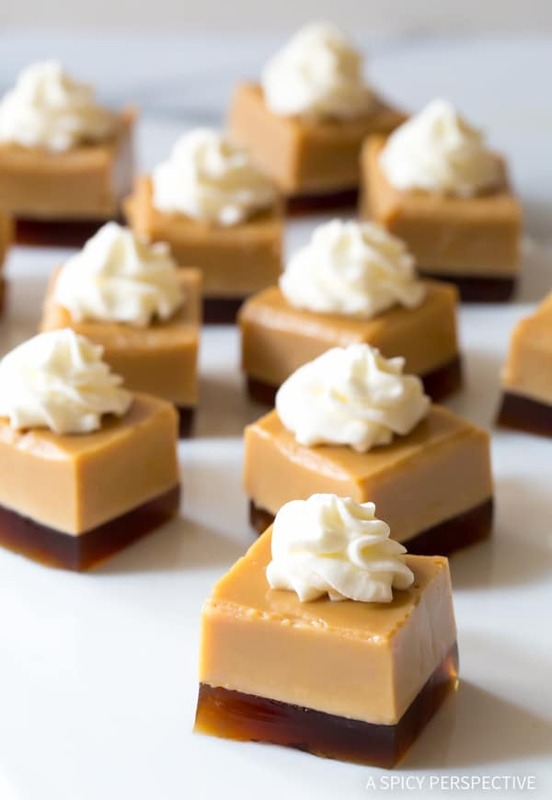 With a combination of coffee, booze and whipped cream, every adult in your circle is going to be ready to take one of these yummy jello shots! It always seems the best jello shots are taken on St. Patrick’s Day! 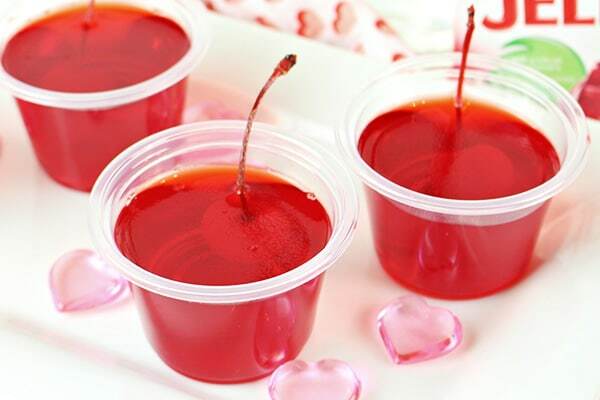 Home Cooking Memories: Whether it’s a Valentine’s Day bash, a 4th of July get-together, or any other adult-themed fun, these delicious Cherry Vodka Jello Shots are going to be voted the best jello shots! Our personal favorite is the long-stemmed maraschino cherry that makes these jello shots jut a little bit easier to get down the hatch! Delish: Champagne Jello Shots are an easy jello shot recipe that you can whip up in no time for your festive New Year’s Eve party, birthday bash or bachelorette party! These are extra fun since they give the wiggly form of jello – a flashback to your own childhood. Simply put the jello shot recipe together in a pan, wait for them to cool, slice them up and serve! And the rainbow sprinkles give them an extra fun sparkle for your friends to enjoy. 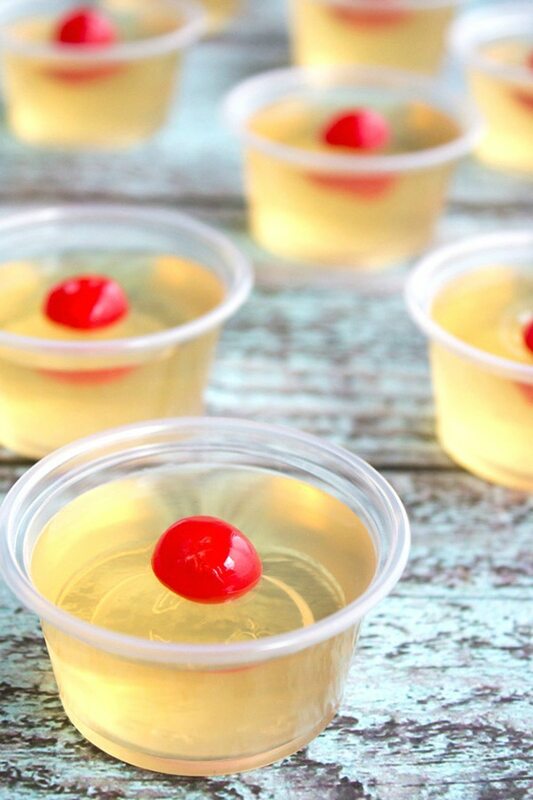 These champagne jello shots are definitely on our list for best jello shot recipe! Glue Sticks and Gumdrops: Tequila Lime Jello Shots are the perfect summertime addition to your warm weathered get-together! With the perfect mixture of fruit and booze, they are a refreshing little sip of heaven. Even better? It’s an easy jello shot recipe and one of the best jello shots for Cinco de Mayo! Genius Kitchen: Margarita Jello Shots are going to be the best part of Cinco de Mayo this year! This jello shot recipe is super simple and vodka jello shots are always a big hit when you can’t taste much of the vodka at all! What do you think? Is this the best jello shot recipe?! 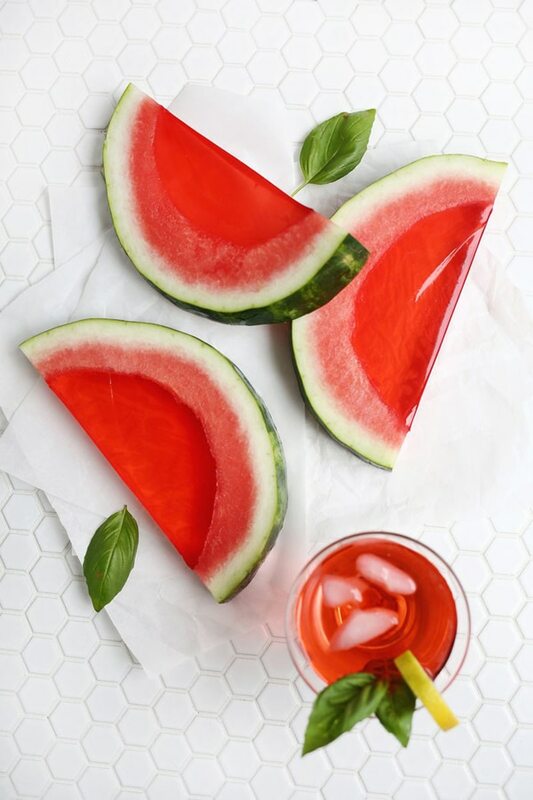 A Beautiful Mess: These Watermelon Slice Jello Shots are fancy, fancy, fancy and one of the best jello shots for a summer barbecue! Don’t be intimidated just because it looks a little difficult. This jello shot recipe is actually extremely simple and is going to be the biggest hit at your summer BBQ this year. You might want to make a couple of batches of these jello shots! 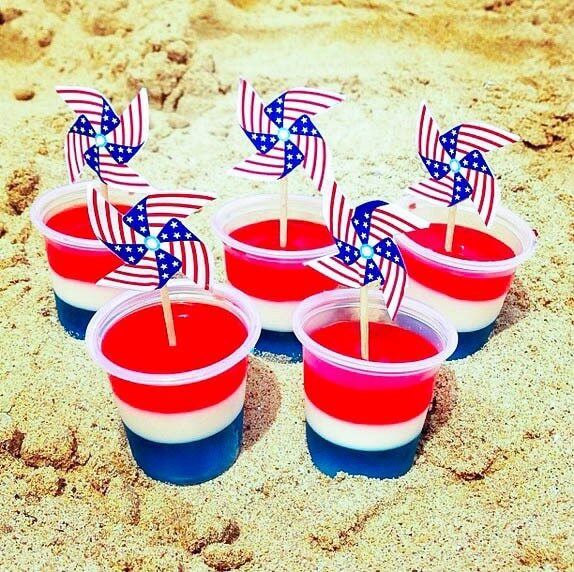 Kelly’s Ambitious Kitchen: Fourth of July never looked so good with these Red, White and Blue Jello Shots! Before you head out the door to enjoy the fireworks this year, you might want to make a batch of the best patriotic jello shots to take along for the picnic! Just a little warning, this is quite a strong jello shot recipe! These are also the most time-consuming to make, since you have to wait for three separate layers to cool before they are complete. But boy … are these jello shots worth it! Homemade Hooplah: Trick or treating with the kids this year and looking to have a little party of your own in the neighborhood? 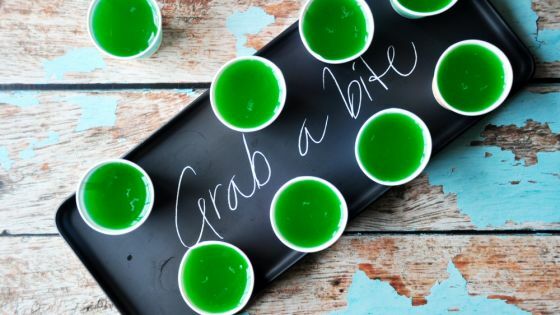 These Glow In The Dark Jello Shots will have all of your neighbors coming back for more treats! 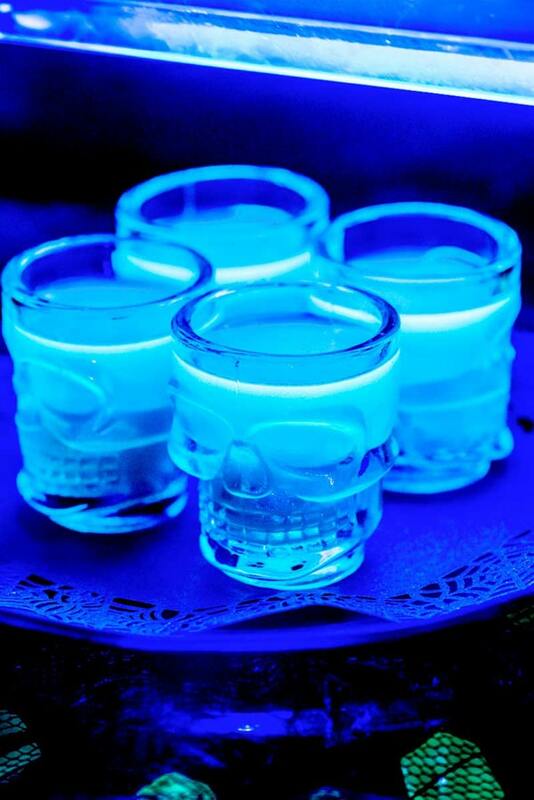 No worries, there is nothing toxic in these jello shots that make them glow. It’s simply the tonic water that creates the glowing effect! And it doesn’t hurt to have a black light set up, either. All of your party guests will name this the best jello shot recipe for Halloween! Tablespoon: Strawberry Daiquiri Jello Shots might just be one of the best jello shots you could possibly have! 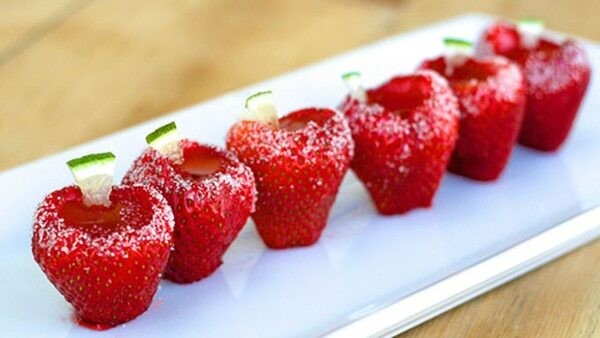 I mean, who wouldn’t want a fun strawberry jello shot in the middle of a hollowed out strawberry?! And by the time you’re done creating this jello shot recipe, you are going to have 50 of these bad boys just waiting to be enjoyed by your friends. Can you imagine the impressed looks you’re going to get when you take these to the next pot luck?! 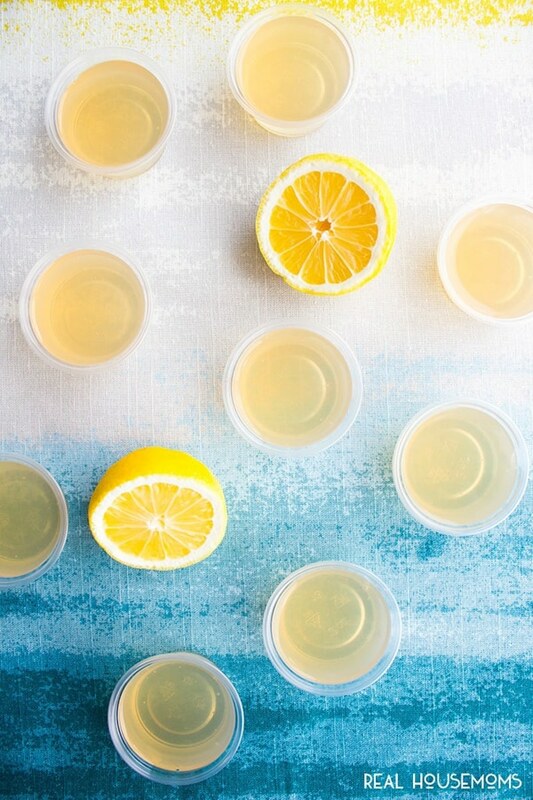 Crazy For Crust: I don’t know about you, but for my birthday, someone please make these amazing Lemon Cake Jello Shots! It’s even garnished with fun sprinkles! And sorry, but who even knew there was a cake flavored vodka?! You just never know what kind of jello shot flavors they will come up with next! If you’re looking for the best jello shots, add this one to your list! 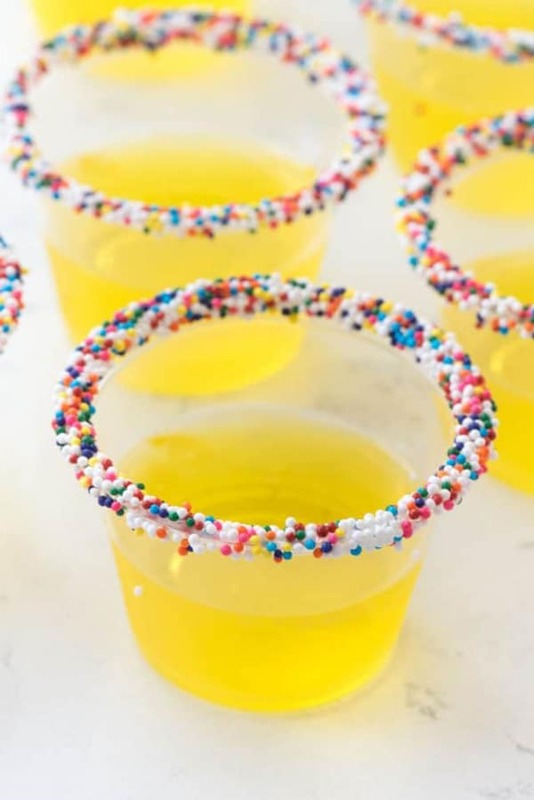 Mom Dot Com: Rainbow Jello Shots are a fun little party favor for your next party! And if you’re feeling extra ambitious, you can even infuse each layer with a different type of alcohol! This will be the best jello shot recipe for any party you decide to throw! 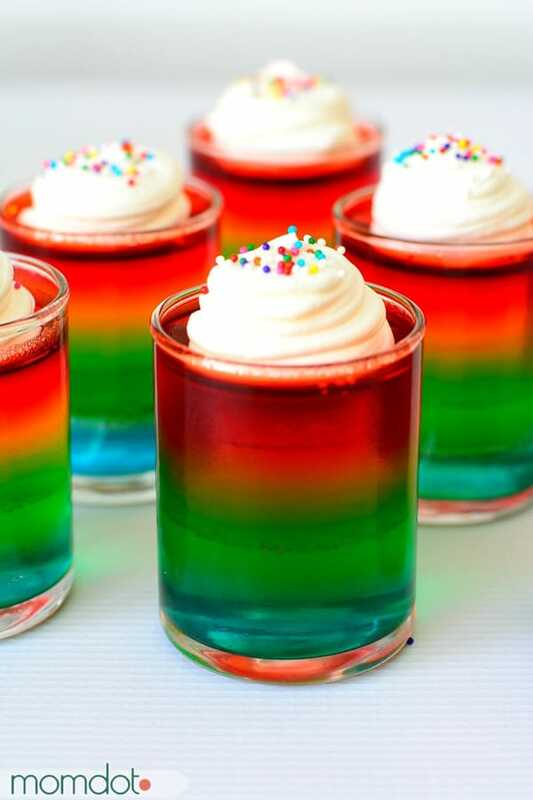 Baking Mischief: These Candy-Sweet Jello Shots with Triple Sec Whipped Cream might be some of the prettiest jello shots I’ve ever seen! 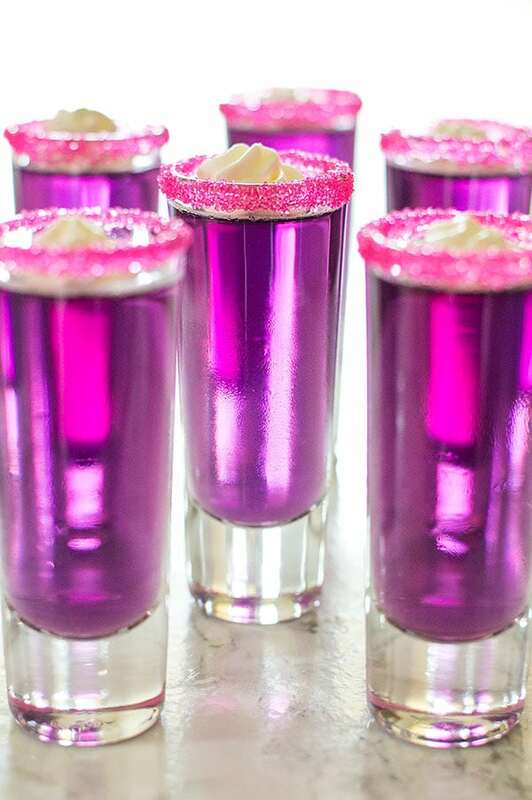 If you’re planning a girl’s night out for your bestie’s bachelorette party, or just for a fun girl’s night in, these jello shots will hit the spot. And there you have it! 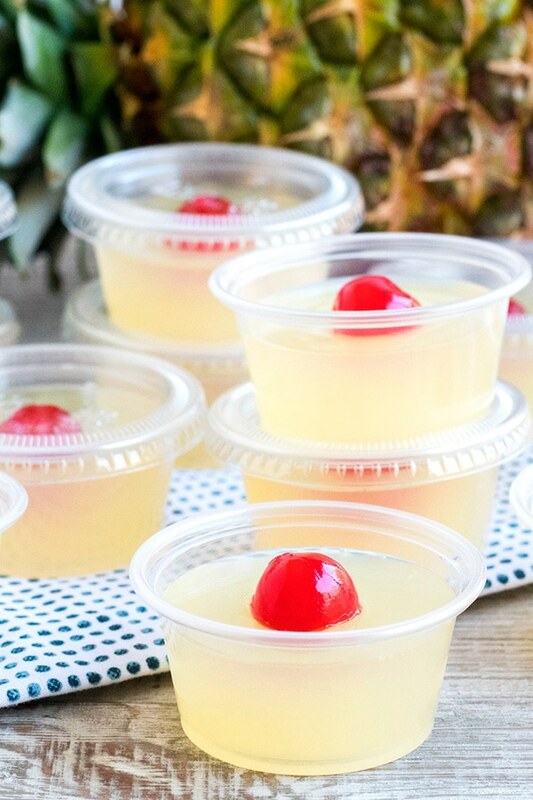 These Best Jello Shots Recipes For Your Next Party will bring the house down and have people always checking in to make sure they’re on your guest list for the next one. Who wouldn’t love a fun night reminiscing about the good old days, while downing a few specialty jello shots?! Enjoy!